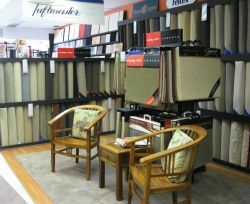 Carpet Options is located at 45 Currie Street Nambour. Coming down the hill into Nambour, you’ll find us directly opposite Mc Donalds on the right hand side next to Curtains and Covers. Carpet Options friendly staff members Claire and Vincent are knowledgeable flooring consultants & are happy to answer your queries by phone or instore. They are readily available to listen to your needs & show you samples of carpet , vinyl, timber & tiles to suit your requirements. Their product knowledge is vast & specialised, covering all types of flooring & they actively keep up-to-date with all the information about the latest flooring products. Claire and Vincent will assist & advise you on the most appropriate flooring for your individual needs & present you with options you may have never thought of when it comes to choosing floor coverings. 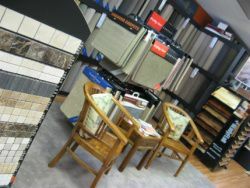 If you want professional, personable, attentive service, you’ll find it here at Carpet Options Nambour. Carpet Options Flooring Installers are professional carpet layers with that craftsperson quality—quite a rarity these days. Our local Sunshine Coast flooring installers are renowned for their pleasant courteous manner, being on time & laying your flooring efficiently & effectively with proper attention to detail—ensuring your job is completed to your satisfaction.